You used to lay awake with hopes of owning a McLaren F1. Then you worked hard and made enough money and you bought one. Congratulations. But now McLaren wants to keep you awake wondering if your McLaren F1 is legitimate. The good news is you can pay McLaren even more money now to certify your F1. McLaren Special Operations has announced a new certification service to guarantee the authenticity of all of the McLaren F1s that are out there, including both road cars and race cars. To get a certificate of authenticity, only McLaren Automotive can comb over your car’s background and compare it with company archives, including provenance, service life, condition, race history and originality. All of this to confirm that you are indeed a very special person for owning a very special McLaren F1, valued at millions and millions of special dollars. I just can’t help but feel like this is just another barrier to convincing owners to actually drive their F1s. For what’s supposedly one of the best engineered driving experiences ever, judging how much it actually gets driven even harsher seems like unfortunate discouragement of a good time. Jalopnik has reached out to McLaren to ask if the certification service costs owners anything and we’ll let you know if we hear back. 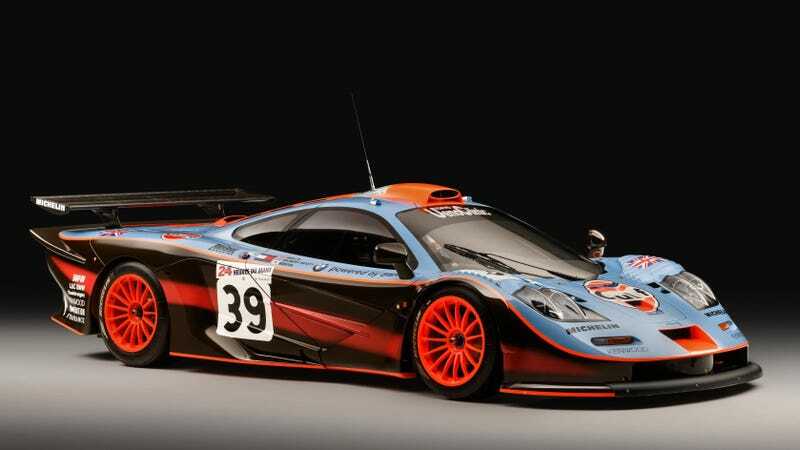 Along with the announcement of the program, McLaren also showed off one of the three McLaren F1 GTR Longtail cars built to compete in GT racing in the late-90s, pictured above. The car also raced in Le Mans, where it caught fire and had to retire. It raced a few more times in Japan after factory repairs in the 2000s. The car was treated to a full restoration to “like-new” condition, using parts stored by McLaren for the last two decades and painted in the original Gulf-Davidoff team livery it raced with in 1997, and it’s the first F1 to be certified by the new program. It’s definitely one of the more special cars of the special McLaren F1, but it’s also genuinely nice to see an automaker go through the effort of keeping such a cool thing in good condition. For the kids, or whatever.